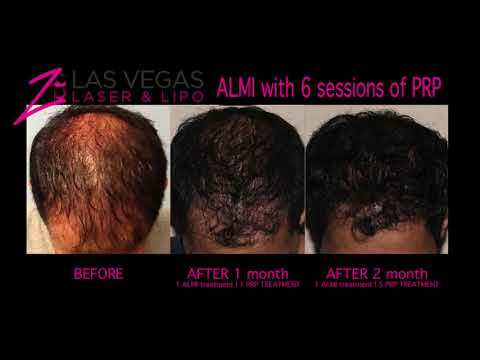 Las Vegas Laser and Lypo bringing to you a new way of injecting Kybella, a little bit different than making the decal on the neck, this is a little bit easier. Dr. Zimmerman walks through his injection process. Dr. Z: Las Vegas Laser and Lypo bringing to you a new way of injecting Kybella, a little bit different than making the decal on the neck, this is a little bit easier. So we just feel for the top of the vocal cords here. We have a midline drawn here and we feel for the extent of the fat. We mark the lower part of the mandible, so we're avoiding the marginal mandibular nerve, and we're going to treat this whole area. Tuck your chin for us just a sec, let's see. There we go. So this is the area of concern right here, but it feathers off to the edges here and here. We're not going to go above, but we can do that if we want to, very carefully by grabbing the tissue and tinting it, so we don't risk any injury to the marginal, mandibular marginal nerve. Dr. Z: So up you go. We're going to ice here for just a second. And we've diluted 4 cc's, two amps of Kybella, 3 cc's of 2% lidocaine with epi, 3 cc's with point two five percent of mepivacaine or marcaine, plain and then 1 cc or so of kenalog 40. Why kenalog, because kenalog is a lipotrophy agent as well, but it will also take away some of the bad inflammation, swelling that we get. We need good inflammation, take away fat cells and cause apoptosis, so we're using the steroid in two different ways. You can see it settles out in the bottom a little bit so we're just going to re suspend that and make it easy to inject. Dr. Z: We're only going to inject from three points here, because of the numbing, this is going to become profoundly numb. Our patient will massage this periodically during the day and for the next few days, she'll feel a little bit like a bull frog, but not as much with the steri on. And we'll show you her after pictures in about a month or two. We can repeat this once a month. We have her before pictures to show off. So we're just going to follow this for our fans out in SEO land and let you see how well this new way of doing Kybella works to get rid of the double chin. Dr. Z: So here we go. Grab my tissue here. Little pinch. And I'm deep, I'm not through the platismal fascia but I'm deep. And I'm just injecting on a retrograde. I'm dancing as I'm going. How's that? Not too bad. Dr. Z: We've done worse to you before? Dr. Z: You're not supposed to say that. There's one side done. By oscillating back and forth with our [00:02:56] sterile loridord connector, it really puts the steroid in the solution. 27 by one and a quarter inch needle. I'm using a little [00:03:25] readinger marker to make our marks. These go right away with alcohol so it's not like a Sharpie that stains things long term. See I'm accordion-ing the tissue so I can get all the way to the midline, injecting on the retrograde. Nice and deep. There should not be any resistance as you advance the needle. You're not going into the platismal facia or the platisma itself. Then we're just going to come in the mid line, and fan one more, and then we're done. Much easier than all the decals and 20 some puncture sites and very comfortable for the patient, eh? Dr. Z: Just going to tilt her back a little. Still in your field? Okay so I am going to come right in front of the submental crease. Parallel. Deep into the fat pad. And there we go. Dr. Z: You wipe off the marks, and you massage. And then we'll see you back in a month for the next treatment.